TC Transcontinental Packaging is pleased to announce that it has won the Gold award for Sustainability with its compostable peanut bag at the 2018 Flexible Packaging Achievement Awards Competition. 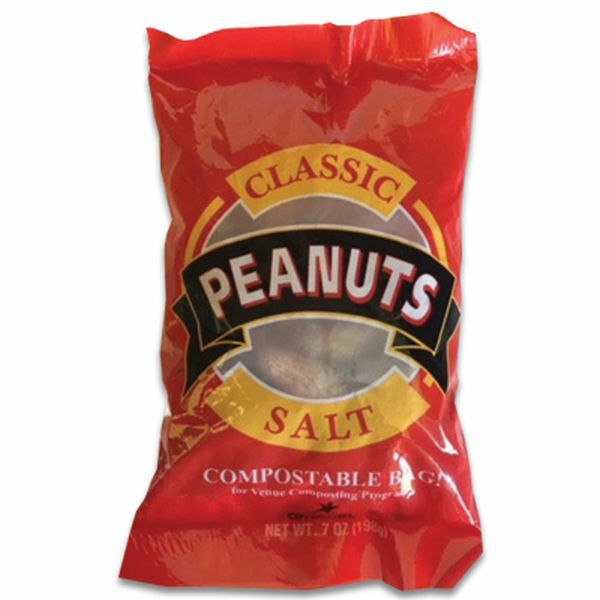 Developed internally at Transcontinental Ultra Flex, the new flexible peanut bag was designed using certified compostable materials to support arenas and stadiums' green initiatives and help sports teams, venues, and leagues achieve the next level of landfill waste diversion. This award celebrates TC Transcontinental Packaging's commitment to sustainability, especially to ecodesign, as it strives to design products that take into consideration the environmental impacts of the product during its entire life-cycle. "The chief benefit of the new bag is that it reduces the amount of labour previously devoted to the manual sorting of materials collected during clean-up after games. The economic benefit is the lowering of overall waste management costs for the venue and the environmental benefits of this package center around the use of renewable resources and its easy inclusion into the venue managed composting program," said Todd Addison, Vice President, Business Development at TC Transcontinental Packaging. "It is a great honour to be recognized by the industry for setting a new bar for packaging sustainability. Our customers can count on us to always look for new materials, new technologies and new techniques to create brilliant packaging that meets today's consumer needs." 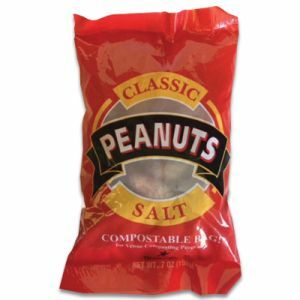 The new compostable peanut bag replaces the current laminated polypropylene bag which has become steadily barred from stadiums, thereby eliminating a classic game-day menu offering. TC Transcontinental Packaging now offers an alternative made of two-layer adhesive lamination consisting of certified compostable materials. The print and barrier layer is NatureFlex™, a cellulose- based product from Futamura USA and the heat-seal layer is composed of ecovio®, a compostable biopolymer from BASF. One of the challenges of this structure was in the adhesive lamination of the two plies which was overcome with the Epotal® product line, also from BASF, a compostable water-based adhesive that allows the packaging to pass the ASTM Standards it needs to be considered compostable. The inks are fully tested for ecotoxicity and the graphics are reverse-printed using standard flexographic printing technology. Finally, the bag shows printed verbiage to help consumers understand that it is compostable as part of the venue composting program. TC Transcontinental Packaging has formalized its commitment to sustainability by developing a social responsibility strategy based on three pillars: creative collaboration, product responsibility and ecodesign. It commits to collaborating towards finding long term solutions with its stakeholders, providing its customers and the community with safe and performant packaging as well as designing products which consider the environmental impacts of a product during its entire life-cycle. Because TC Transcontinental is determined to build a company that can adapt and transform itself, this strategy allows the Packaging division to always integrate best practices in sustainable development as part of its activities, processes and execution. The annual Flexible Packaging Achievement Awards Competition is conducted by the Flexible Packaging Association and showcases the industry's innovation and the advances that have changed packaging. This year, 66 packages were submitted in the competition, for a total of 164 entries. Twenty packages were honored with 31 Achievement Awards in 5 categories: Expanding the Use of Flexible Packaging, Technical Innovation, Sustainability, Printing and Shelf Impact as well as Packaging Excellence. All entries were judged by an independent panel of experts. TC Transcontinental Packaging, which has close to 1,000 employees in the United States and Canada, is a key supplier of flexible packaging in North America. Its coast-to-coast platform comprises one premedia studio and seven production plants specializing in flexographic printing, lamination of plastic films, and converting, including bags and pouches. The division offers an array of innovative solutions for a variety of industries, including dairy, coffee, pet food, bakery, snacks and confectionery, supermarket fresh perimeter, frozen foods, and cigars. TC Transcontinental Packaging is a division of Transcontinental Inc. (TSX:TCL.A)(TSX:TCL.B), which has close to 6,500 employees in Canada and the United States, and revenues of C$2.0 billion in 2017. Website: www.tc.tc.